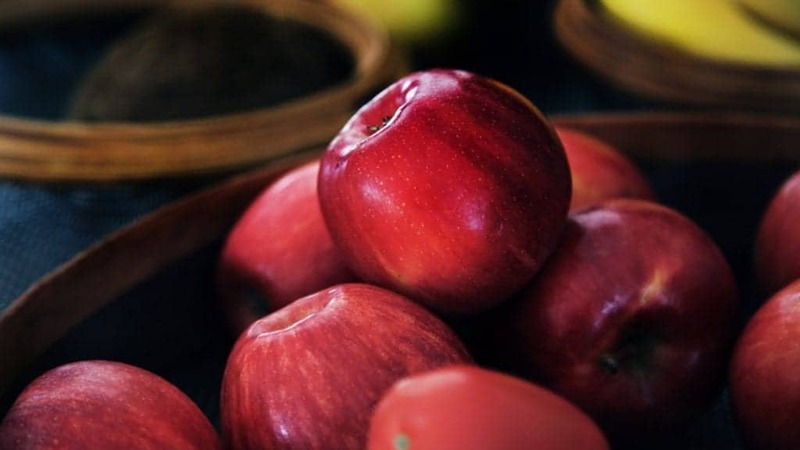 Enjoying healthy snacks is always going to make you feel good. 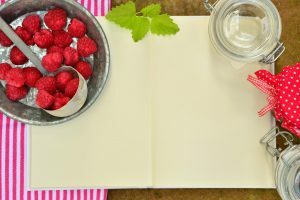 If you happen to be on a bit of a diet right now, then you need to have access to treats that are good for you. 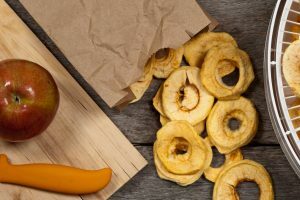 One of the best things that you can consider doing is making use of dehydrated fruit. 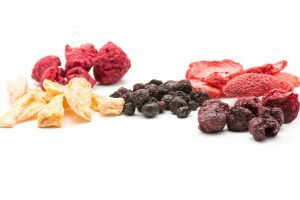 Dehydrated fruits are both delicious and healthy, making them an optimal choice for any health-conscious individual. 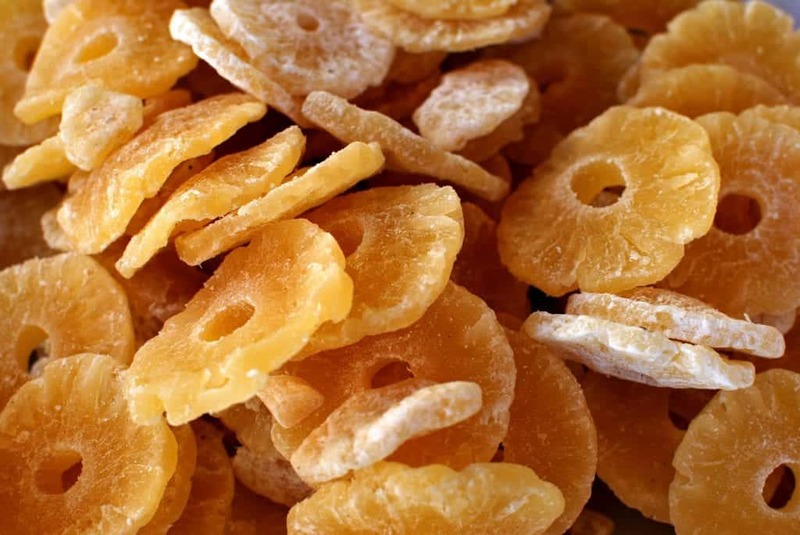 One cup of dried peaches can be a very effective snack for you. If you have a bit of a sweet tooth, then this is going to be very appealing. You’ll be able to enjoy something sweet without having to worry about it being overly sugary. These dried peaches do have some calories but they can be figured into your diet routine as an occasional snack. Taking the time to dehydrate peaches will not be tough to do either. 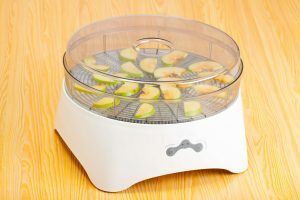 Learning to dehydrate fruits will not be overly difficult for you. 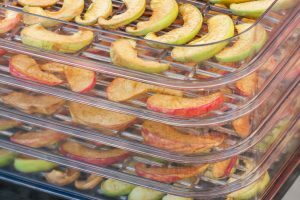 Whether you want to dehydrate peaches or you are looking into other types of dehydrated fruits, it will pretty much be the same process. 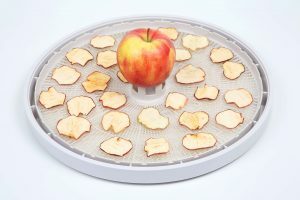 If you own a food dehydrator, then everything is going to be very simple. 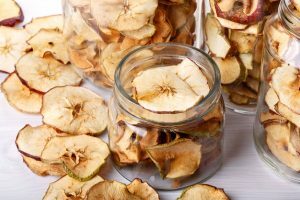 It is also possible to dehydrate fruit in your oven when you know what you are doing. Either way, this is a fun way to make delicious snacks. Before proceeding, you need to make sure that you blanch and peel your peaches properly. 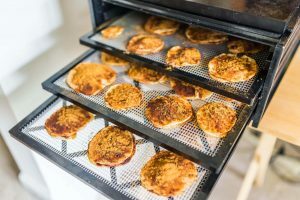 This is an important step for anyone who is looking to dehydrate peaches or to cook with them in any way. Grab a paring knife and cut a small “X” shape into the bottom of each peach. Once this is done, place them in boiling water for one minute. This makes it easy to peel the skin off of the peaches. You can use your knife to help peel off any spots that are giving you problems. It should be a pretty simple process and you will be ready to proceed to the next step. Slicing the peaches properly is of the utmost importance. To dehydrate peaches well, they need to be thin enough. You will also want to remove the pits so be sure to do that ahead of time. Once you are set, you need to slice the peaches into slices that are between one-quarter of an inch and one-eighth of an inch. Any bigger than that and the fruit will not dehydrate as well as it should. You are going to want to place your peach slices into acidulated water. This essentially means water that has vinegar or lemon juice in it. For every one quart of water, you should use one tablespoon of vinegar or lemon juice. As you are slicing each peach, go ahead and throw it into the pot of acidulated water. Once you are done with the slicing, it will be time to drain the water. Drain them using a colander to get the best results. You can also let the peaches sit out to dry for a bit before placing them in the dehydrator. Patting the peaches down may also help out. Now that you are all set, it is time to go forward and dehydrate peaches to make your tasty treat. 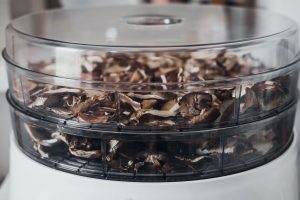 Simply place them on a dehydrator tray and then set the food dehydrator to 135 degrees Fahrenheit. It can take between 20 and 36 hours for the peaches to dry out properly so it is a time-consuming process. Once things are done right, the peaches should feel very dry when you touch them. After everything is ready, you can now let the peach slices cool off. 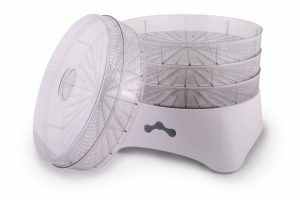 When they are sufficiently cooled, you will be able to serve them and enjoy your snack. This is going to be a very good treat for the whole family. Store any leftover peaches in airtight containers to keep them fresh for a later date. 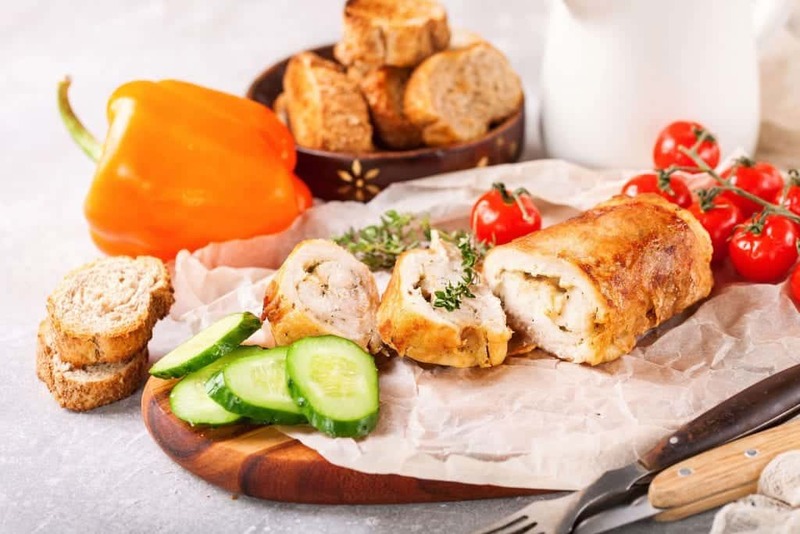 Check out some more mouth watering recipes here!